The competition site is adjacent to the main street, Storgata, which has an annual traffic of 10.000 cars per day. Heavy transport related to the industrial park makes up a large part of this. While Storgata used to be the shopping street, trade is now concentrated in and close to AMFI, the mall established in 2006. Storgata has some empty street-level premises, and retailers tend to change often. While Raufoss is connected to the Oslo region by train, connections from the railway station to the town centre and the industrial park are unclear. 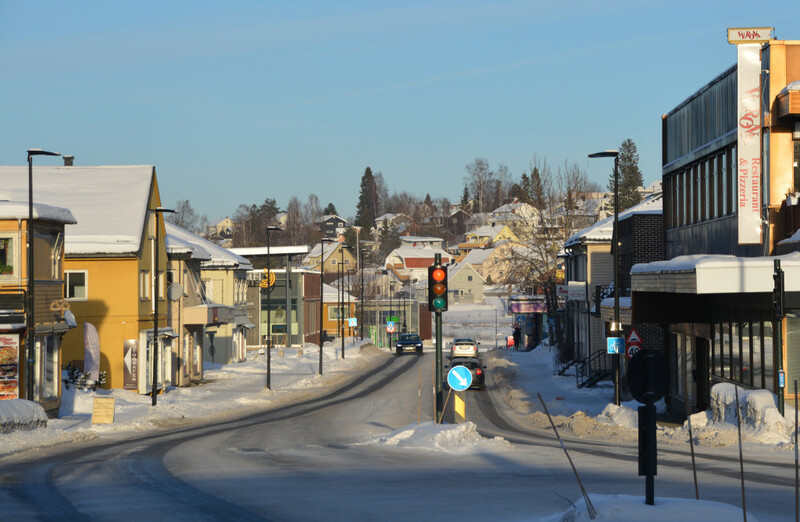 Raufoss needs an urban network integrating the flux of the industrial park, with its six shifts per day and many visitors, while presenting a more vivid street scene to attract residents to the town centre. The municipality calls for a densified town with a mixture of programmes and typologies in good integration with the Catapult Centre. The study area in Raufoss comprises the railway station in the south and part of the large, gated industrial park in the north. The town centre follows the river, which represents both a divide and a connection; a walking path along the riverside connects the train station with the town centre. The railroad tracks through the town create a barrier to the housing areas on the east side of the main street Storgata. Raufoss industrial park also represents a barrier with the security fence. Still it attracts commercial actors which prefer locations close to the industrial park. 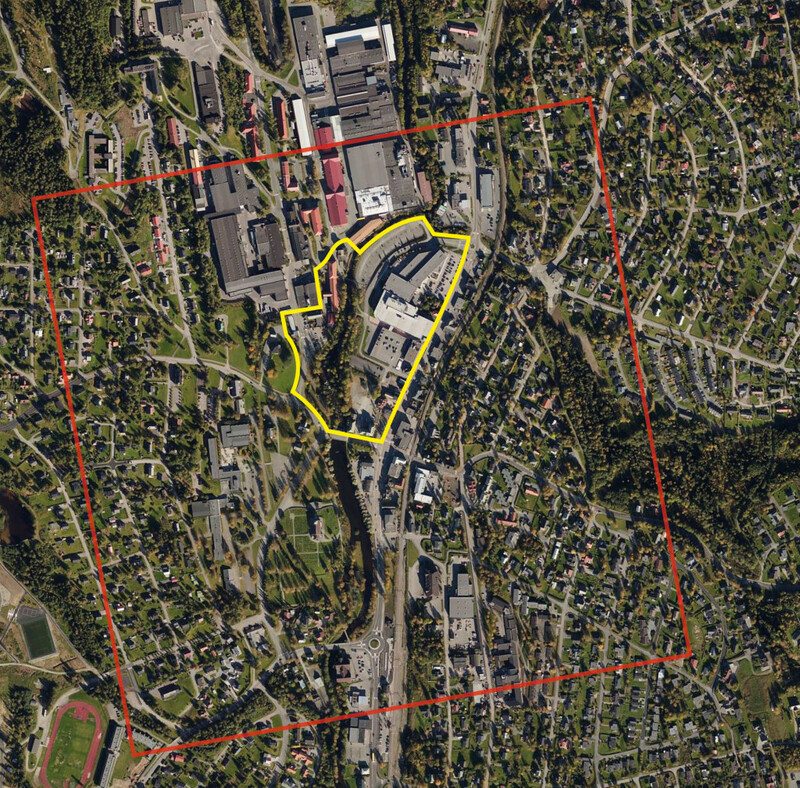 The competition site is in the middle of down-town Raufoss, and has a key position as it borders on the main street, the river, the railroad, the industrial park, and the shopping centre. 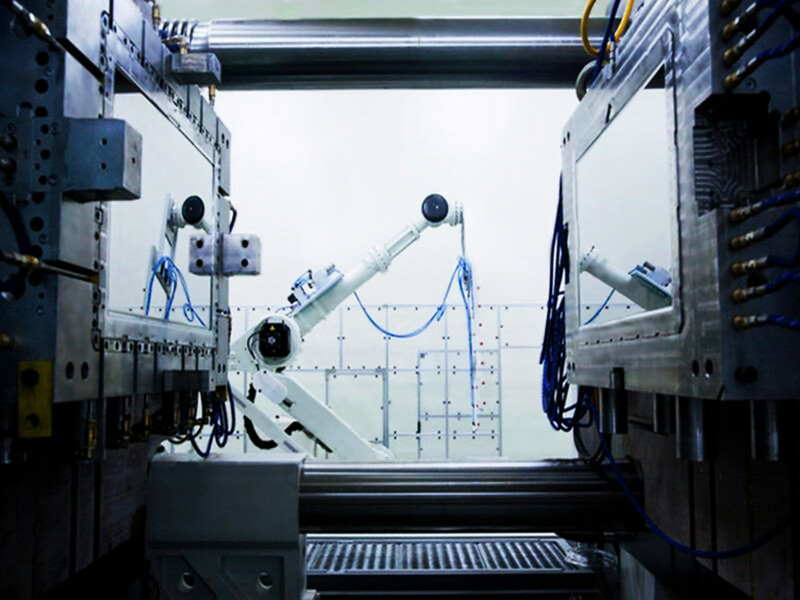 By way of its location, the site has the potential to tie Raufoss together and become a connecting link to integrate production closer in the city mesh. 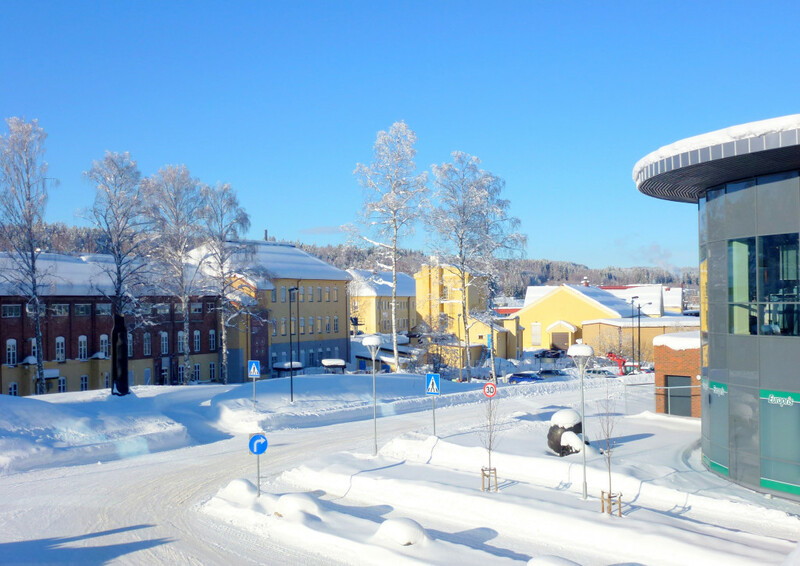 Both the industry’s expertise in innovation and the Catapult Centre’s role as an innovation facilitator are fundamental to the productive city of Raufoss. The public library is proactive and inclusive of all inhabitants, functioning as a bridge to the world of expertise. The library also hosts a makerspace and aims to become a 24/7 library with an extended role as a community maker at a central location in the town centre. Building no. 313, 3, 4 and 5 are located at the outer edge of the park, in the middle of Raufoss centre. The river is separating these buildings from the rest of the city centre, and their facades constitute sections of the physical security fence. The industrial park is open to moving the fence to include these buildings as part of the urban mesh. Across the river, the shopping centre houses commercial meeting places and the ‘City Lab’, a public programme where the municipality attempts to engage inhabitants in urban planning. Still, the shopping centre is weakly connected with the urban situation. Improved connections between building no. 5 and the shopping centre can change both their roles in the city, an effort in which the competition site plays a central role. The growth of settlement has had an outward spread in Raufoss, limited by the protection of the agricultural landscape. Today there is a lack of central apartments. Can urban housing be investigated in relation to productivity, and help define a new urbanity in Raufoss? The city is already highly productive with a hyper-modern fabrication environment and an abundance of jobs inside the industrial park. The park has had a string of success stories in product development as a result of synergies between fields of expertise, within the security zone. 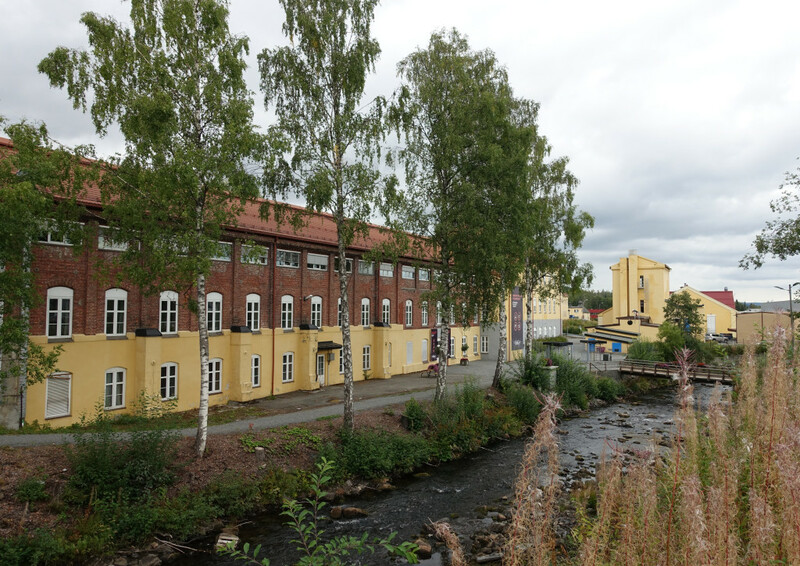 How can the synergies pulsating in the industrial park be reflected in Raufoss as a multi-productive urban network?